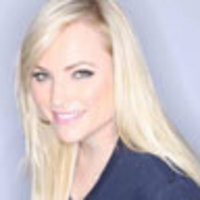 The Daily Beast’s Meghan McCain joins Barbara, Whoopi, Joy, and Sherri on the couch this week as a guest host. Here, she reflects on what the show means to women of all ages and backgrounds. This week, I'm returning to The View as a guest host. I’m honored to be asked back, along with a handful of other women who will be filling Elisabeth Hasselbeck’s seat while she is on maternity leave. Over the years, I’ve loved the show for many reasons but above all because it’s one of the first programs to allow a group of women—and women only—to discuss, analyze, and argue about the news. Soon, two of the three evening news anchor chairs will be filled by women—Katie Couric and Diane Sawyer— but for a long time, The View was really the only place where I could watch women of different ages and backgrounds talk about current events in an open forum. The show has had such an impact on TV that original co-host Merdith Vieira is now co-anchoring the Today show and Joy Behar, who has subbed for Larry King many times, will soon have her own news program CNN's HLN. The View was one of the few shows where stay-at-home moms could listen to other women’s points of view about the 2008 election cycle. And last week, the ladies finally won a Daytime Emmy for Best Talk Show Host. I believe this has to do with the 2008 election and the guests they had during the campaign season. The View was one of the few shows where stay-at-home moms could listen to other women’s points of view about the 2008 election cycle. What makes The View so special, I think, is each host’s role (and relatablity) to the viewer. Whoopi Goldberg is everybody’s wise friend who mediates both sides of an argument. Joy is the feisty New Yorker, who always has the perfect punchline to any setup. Sherri Shepherd and Elisabeth are the panel's two moms with young children who see eye to eye on a lot of things, except for politics. And Barbara Walters, well, Barbara is a legend. It’s easy to see with such a diverse group of women how the show has lasted more than 12 years with ratings that are now better than ever. Among the guests this week: former Illinois Governor Rod Blagojevich ( watch here), which for me is kind of like putting a piece of chocolate cake in front of someone on the Atkins diet.